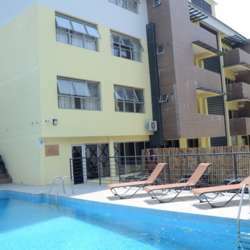 287b Akin Olugbade St, Victoria Island, Lagos. Greetings to all our Lagos Community Members! We have a well planned night for you all! To celebrate International Dance Day, we invite you to join us as we are going to party by the pool side again. This time, we gotta shake shake shake! Nice music, warm people, a cocktail or two to chill out, enjoy the breeze and dance the way you like in a lovely evening. So time to welcome some new members who just join the community or attend the events first time and catch up with some old friends. About the venue: located in the centre of VI, Glee Hotel is equipped with an outdoor bar next to a swimming pool. Well, in fact, there's not much to tell you about the place as we invite you to discover it with us.